Info.Resource, owner and publisher of IowaLifeScience.com, produces one-of-a-kind "genealogy" posters that illustrate the "technology origins" of a state's life science industry. Specifically, the origin of the companies founding technology with the state's universities, non-profit research organizations, and federal laboratories -- the economic engines that are the foundation of the life science industry in a given state or region. 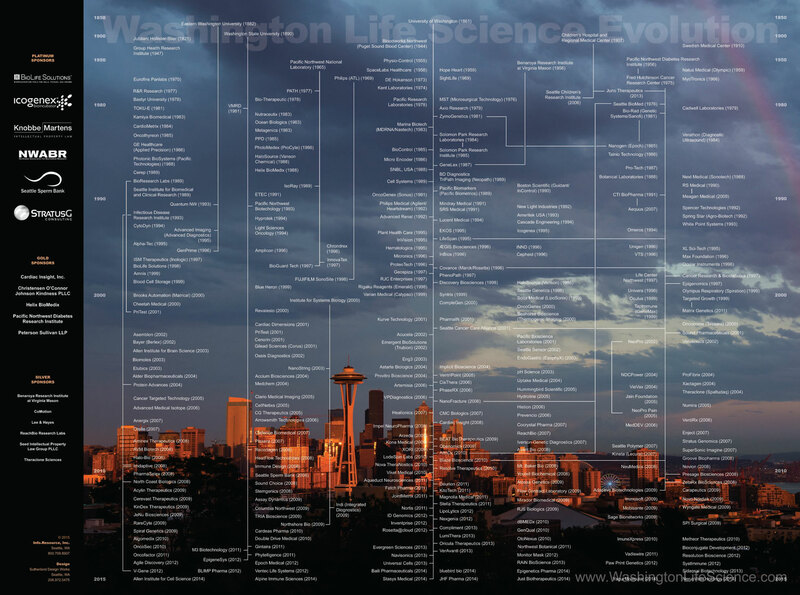 The first poster, published in 1990, depicted the technology origins of just fifty biotechnology, medical device and related companies and non-profit research organizations in the state of Washington. The first poster, although small in scale, played an important role in concisely communicating with the state's legislators the industry's depth, breadth and importance of the state's institutions of higher education and non-profit research institutions as engines of technology creation and job growth. Notably, we now have a growing mountain of founding "technology origins" data for more than 6,000 life science companies across the U.S. which provides us the ability, for the first time, to publish genealogy posters by state. We are currently updating previously published posters for release in the coming months. 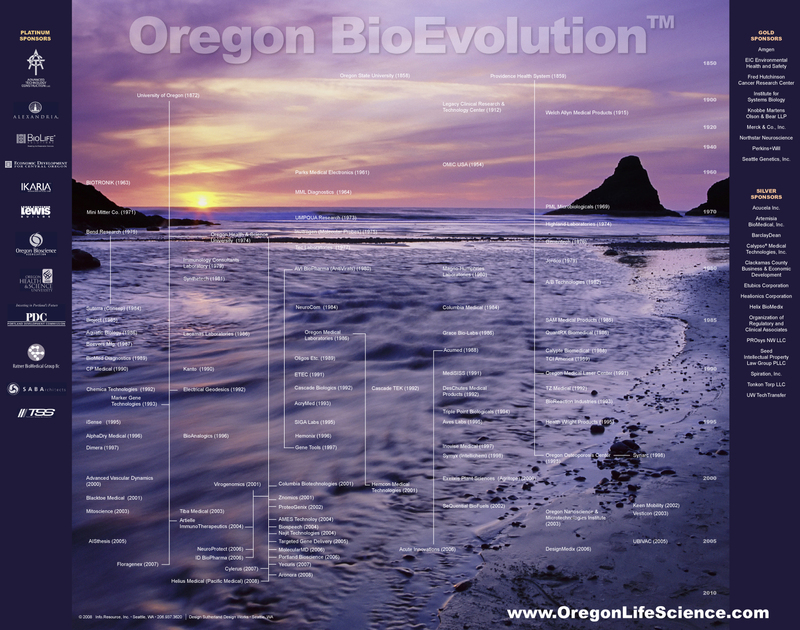 Following which, we will begin publishing genealogy posters for other state life science centers nationwide. We hope this information will be helpful to state life science leaders and others in their respective states. 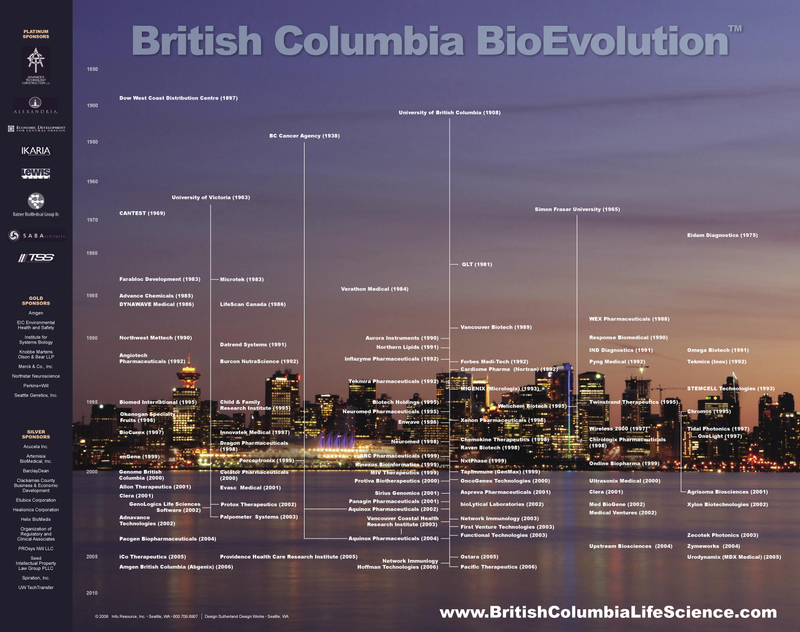 The Life Science Evolution posters published prior to 2015 are available in two formats: 1) Brochure format -- free of charge, and 2) Framing format (19" x 25") -- $19.95, prepaid with credit card, plus postage & handling.